No matter what the weather, these clouds will brighten any breakfast! 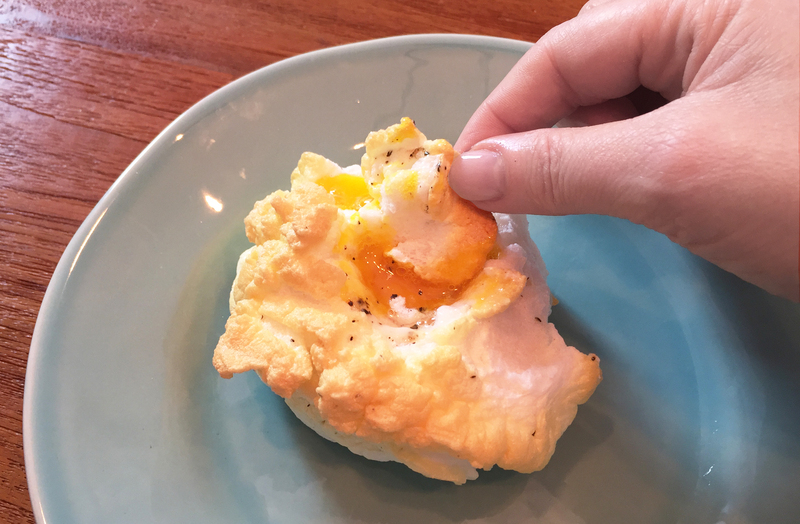 Cloud eggs are a fabulous alternative to fried or sunny side up eggs. When I first saw them, I was entranced… how to get the whites so fluffy… what were the magic ingredients? And how did they taste? I thought they would be difficult BUT they couldn’t be easier! The texture makes bread redundant. They have such richness, yet are so very light and delicious. The best part is they’re great when prepared this simply BUT you can create any number of combinations! Fold anything you like into the egg whites before baking – cheese, bacon bits, ham, chives… it’s like a poufy omelette-like delight! 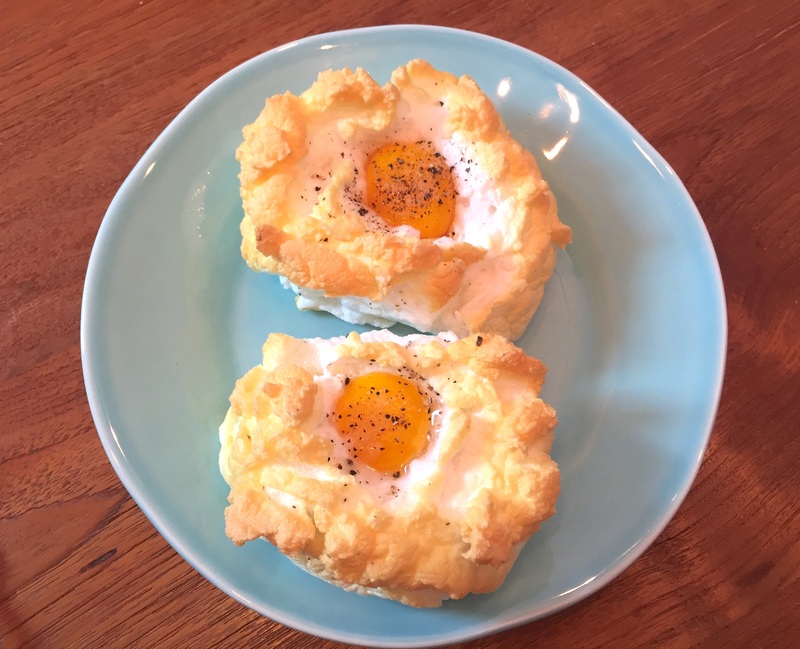 Wake up your taste buds with these sunny side delights! 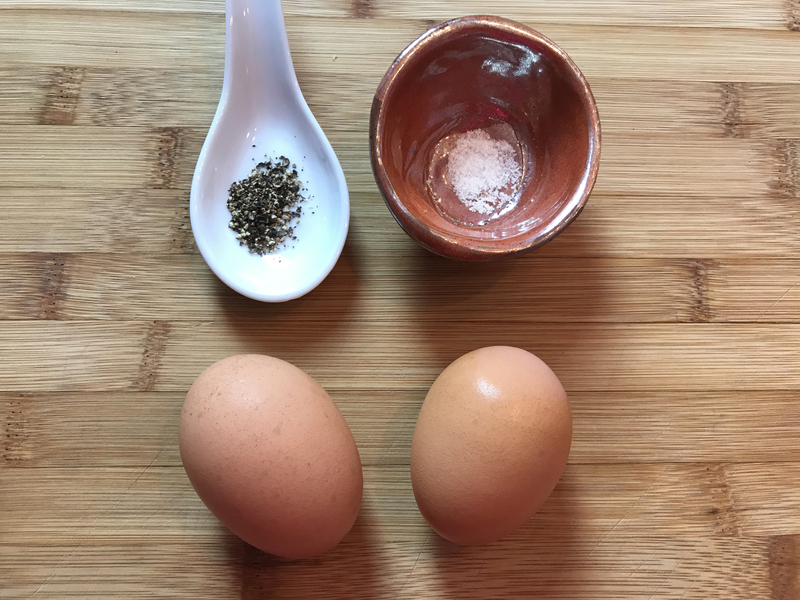 Separate eggs, putting whites in a bowl and yolks to the side. Season egg whites then whip until stiff peaks form - it should take about 2 minutes. Spoon onto parchment lined pan, leaving a little indent at the top for the yolks. Bake at 425° for 4 minutes. Remove and add the yolks to the indents, seasoning if desired. Bake 3 minutes more and serve. You can customize them to your liking! Fold any additional ingredients gently into the egg whites before baking. Enjoy! « Roses are Spuds My Love – Spicy Sweet Potato Roses!